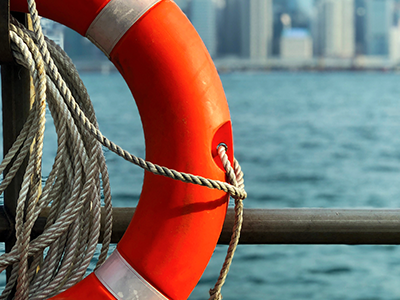 ESKA Life an extensive Life Insurance Management System for you company that aims to extends you offerings and reach. 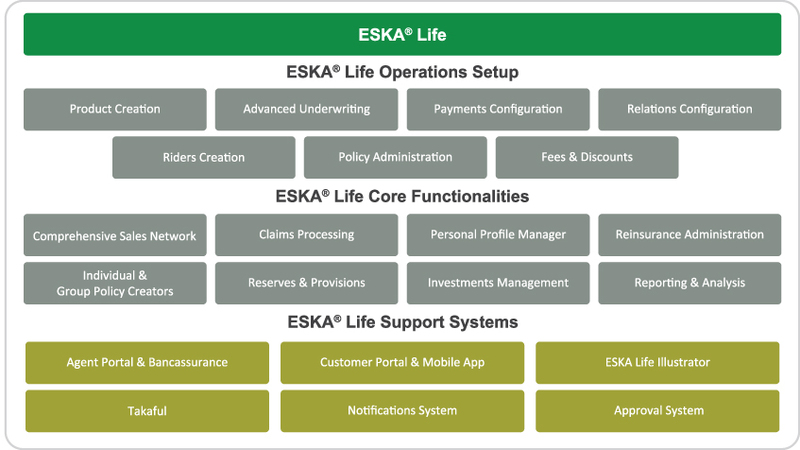 ESKA® Life is our life insurance management system that invigorates every step of your life-insurance operation, from automating product creation and underwriting processes to handling claims, sales and investments. ESKA Life comes with extensive insurance functions and features to ensure you maintain an adaptable and accessible life-insurance enterprise. This powerful system provides a fully customizable and convenient setup process to meet your needs. With a powerful rules-based engine that calculates your aggregate risk and reinsurance arrangements, ESKA Life provides you a powerful end-to-end platform for driving sustainable growth in a competitive industry. Providing a customizable digital space with all your essential needs, you can simply create a system that will be ideal for your business process, creating innovative solutions with speedier results. Now you can avoid all the hassles of inconvenient calculations with ESKA Life, automatically calculating all your prices and any changes made, you can easily take care of all information processing. From viable product pricing to reserve calculations, directly handle your data. No longer worry about mistakes thanks to a fully digitalized process; helping to minimize errors with a powerful system. By going full digital, you no longer need to worry about making any mistakes due to manual inefficiency. Deploying a digital platform helps you facilitate your customers’ wellbeing, enhance your market presence, and ultimately grow your bottom line – all while keeping costs competitive. ESKA Life accelerates your sales processes with straight-through processing (STP), agent portals and the Illustrator tool. Together with customizable incentive strategies and sales analysis, ESKA Life helps you connect with your customers with purpose. ESKA Life helps you to split the various risks you cover between multiple reinsurers, so you can package bolder insurance products to your clients and pocket the rewards. What can ESKA Life do? Provide a dynamic infrastructure for your specific business needs. Configurable risk classification and rating. Hierarchical sales structuring, full administration and remuneration. Full policy administration through alterations, benefits and services. Category-based group schemes with seamless benefits mix and match. Funds and portfolio management with track of investment transactions. Mortality tables, dynamic formula structuring and provisions calculation. Integrate your investment and insurance products for greater convenience. Automatically calculate your risks across all policies with adjustable reserves accordingly. 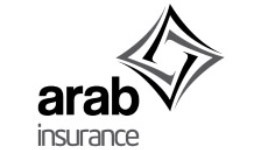 Incorporates Takaful enabling you to design insurance models spanning Morabaha, Wakalah and Modaraba concepts. Provide a detailed report for thorough and convenient analysis.